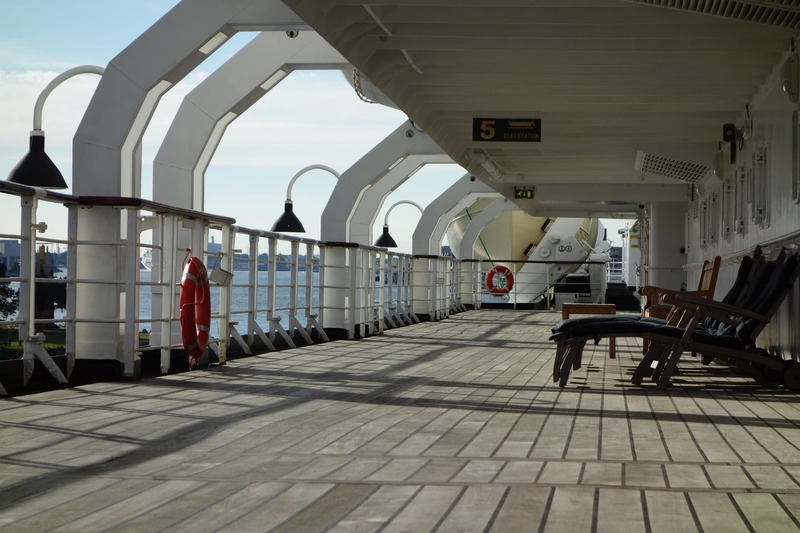 You are about to read a review of the ss Rotterdam, a truly majestic place and one of the most remarkable hotels in the Netherlands. 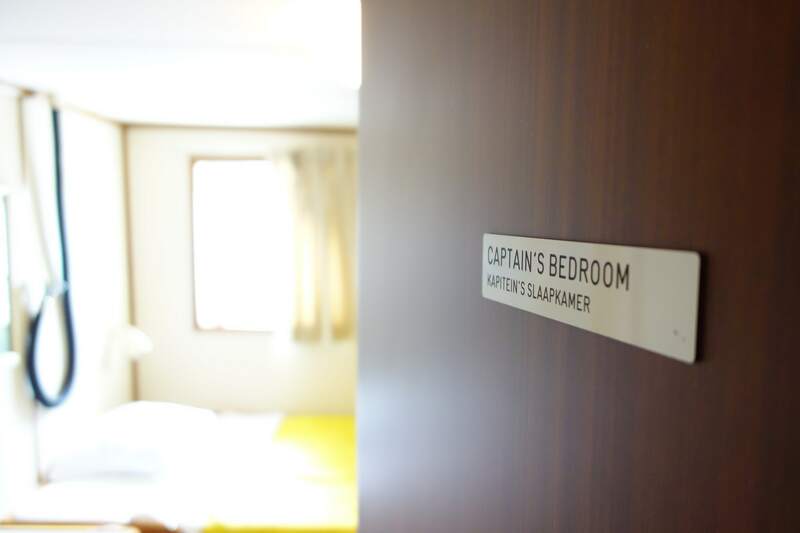 This review will take you on a tour of the ship from bow to stern. 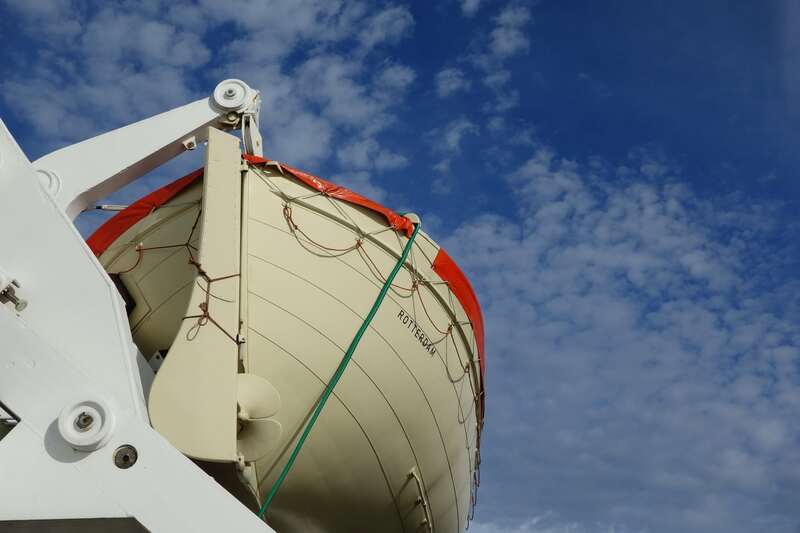 The ship is an important piece of Dutch history. Many Dutch immigrants crossed the Atlantic Ocean to start a new life in America. 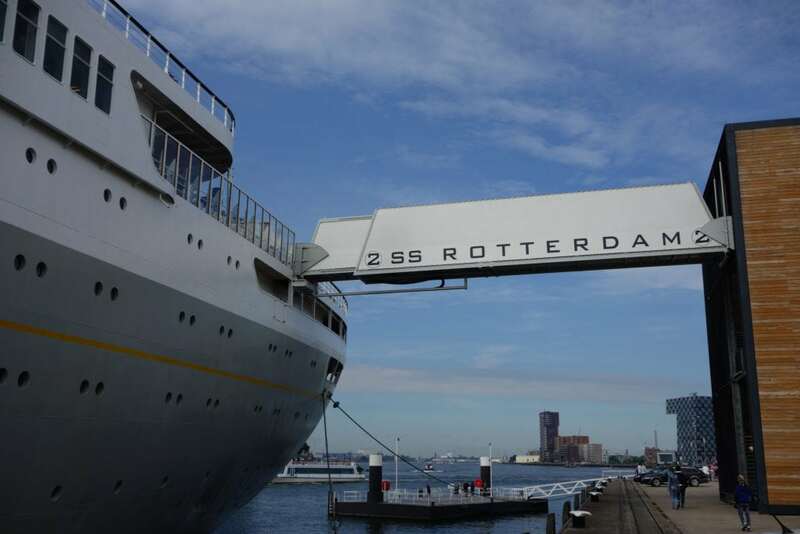 One of the classic itineraries was the Rotterdam-New York City line where the ss Rotterdam played an important role. 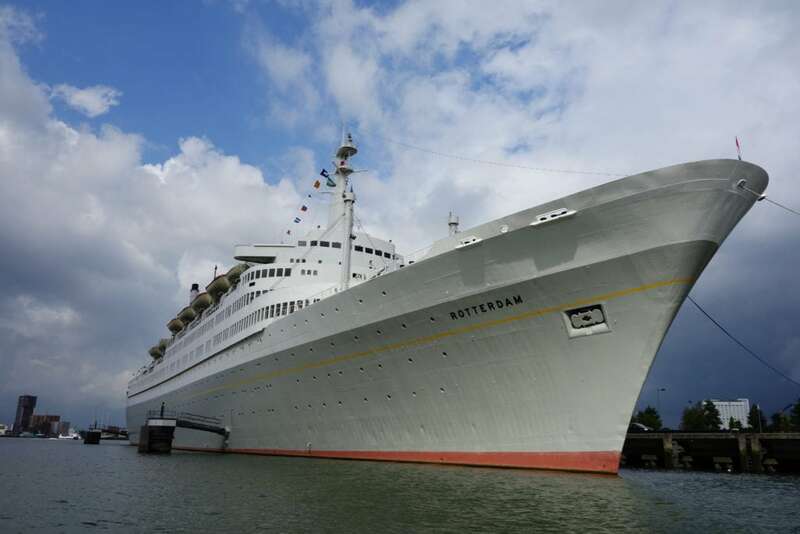 The ss Rotterdam is the largest passenger ship ever built in the Netherlands: 228 meters long, 28 meters wide and 61 meters in height. It was inaugurated by Dutch Queen Juliana in 1958. 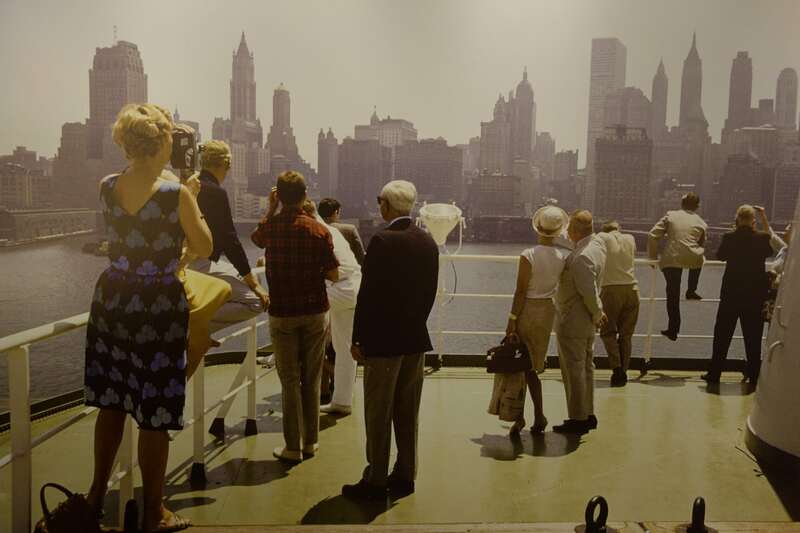 Until 1971 it ran scheduled services to New York City, but turned more towards cruises when air traffic became more popular. 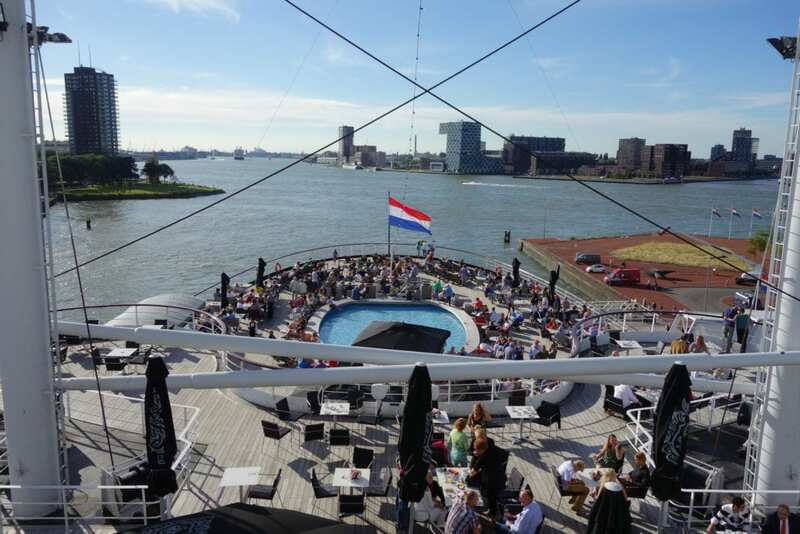 You can read more about the history of the ship by visiting the ss Rotterdam website. Due to economic downturn and bankruptcies it stopped service in 2000 and was chained for years in the harbour of Freeport, Bahamas. 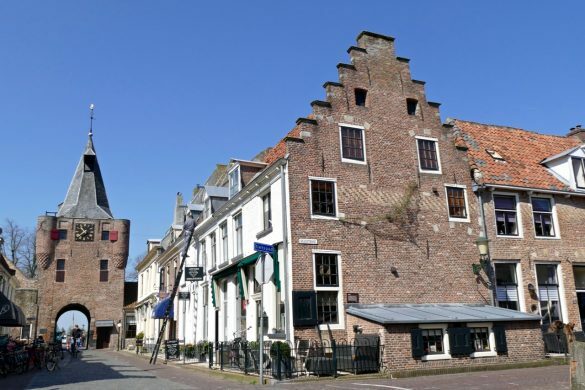 In 2008 it returned to its place of birth: the city of Rotterdam. People of Rotterdam were waving and crying when tugboats towed the ship to its final destination in the city. 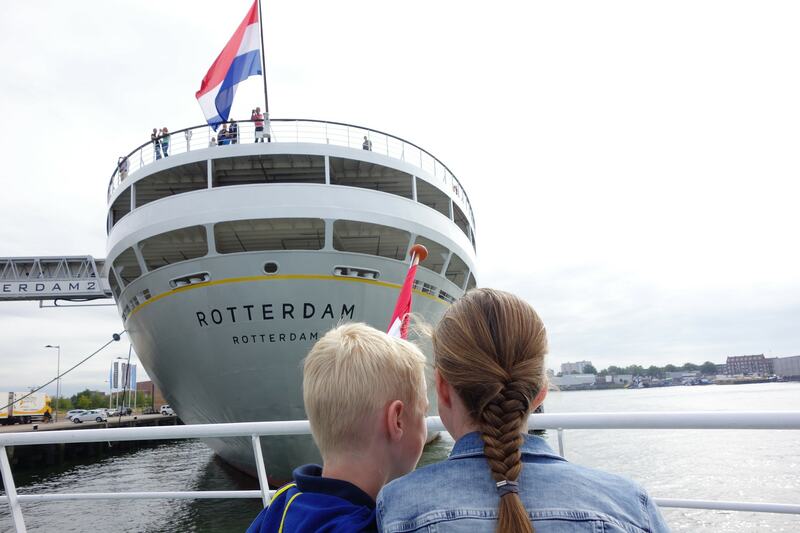 For them the ship will always be part of the history of Rotterdam. Today you have the opportunity to visit the ship and take a tour. If you want you can stay overnight in one of the 254 rooms; this maritime icon has been transformed into a 4star hotel ever since it returned to Rotterdam. The ocean, the Big Blue. 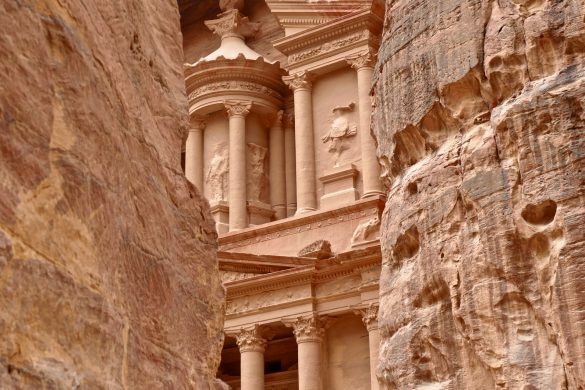 For some just a hell of a lot of water that needed to be crossed to reach the promised land. For others it was home and a way of living. One of these people was our guide on the ss Rotterdam, Mr. Rainer Klootwijk. 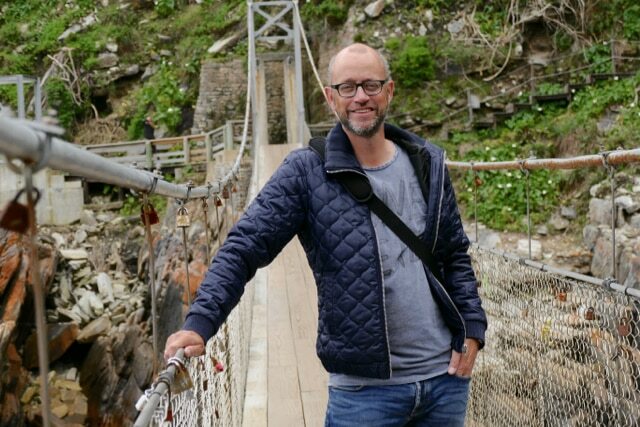 Rainer started working on the ss Rotterdam at the age of 15 and has traveled to New York more than 80 times! He knows all the (insider) stories so we were very happy having him as our guide. 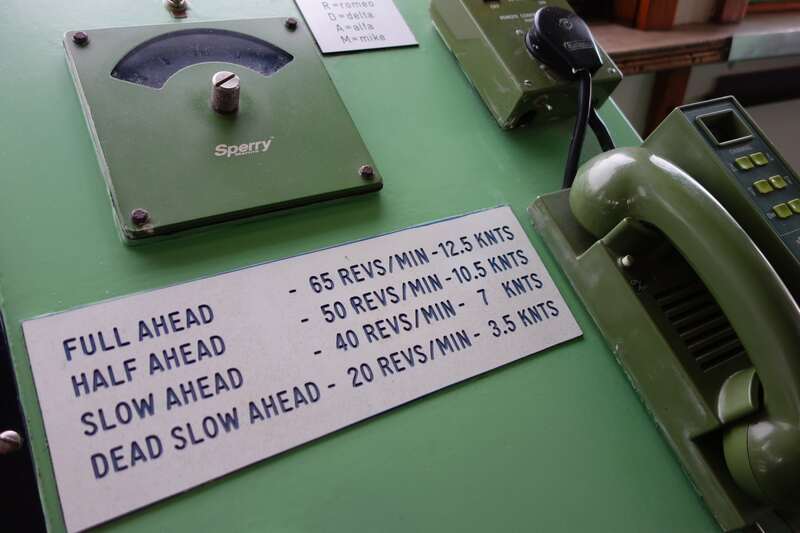 Various tours are available, including one that takes you into the engine room. 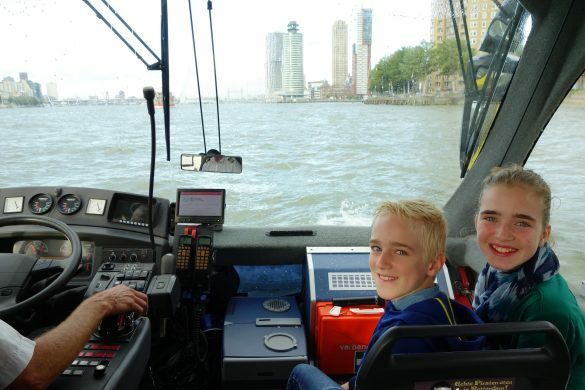 We got a tour that took us all the way up to the bow and into the steering cabin. From there we visited historical rooms on the ship: the grand ballroom, the Queens lounge and the Ambassador lounge. We could imagine how people spent their trip in luxury in one of these rooms! After the general entertainment it was time to visit the bar (open all night until the last guests went to bed). This bar was actually my favorite place on the ship. Just look at the original design of the furniture, fabulous! 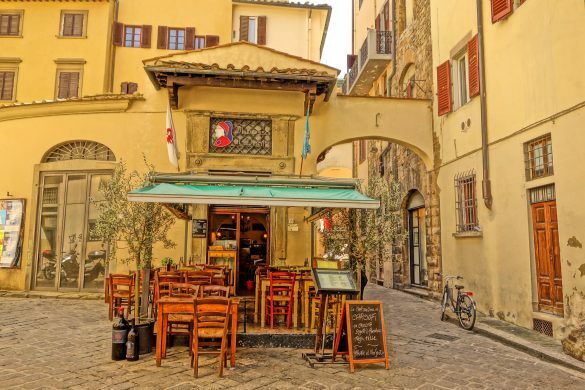 I could definitely be here every night during an 8-day trip to the States…. The tour ended at the back of the ship, the stern. From the stern you have a fabulous view on the city; especially the sunsets are very popular! It looks like they have a swimming pool on deck, but the water is actually just 40cm deep and only to cool down your feet (although feel free to swim!). The rooms are perfectly decorated in fifties (retro) style. It’s all in the details, but even the small shampoo and shower gel bottles were designed in the same fifties style. 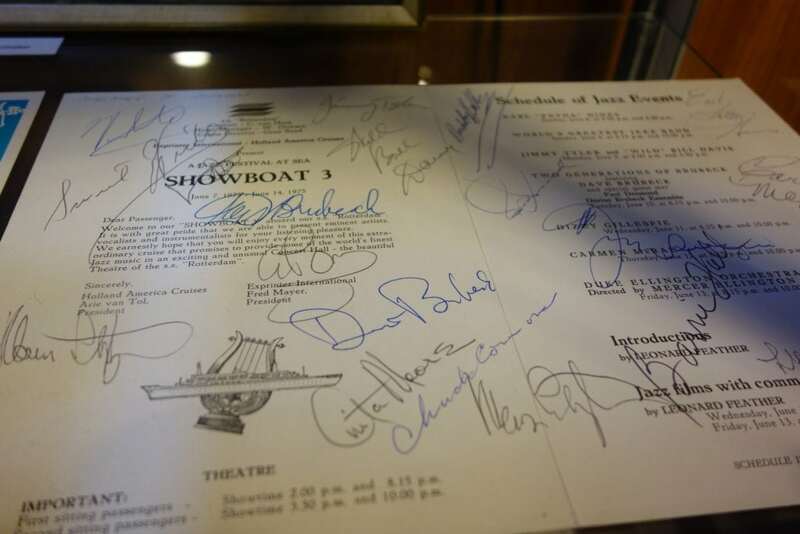 Magazines from the 60s were available to read and a notepad was called the ‘Captains Logbook’. Job well done! It all looks picture perfect, but I do have to mention one downside: service by the personnel. 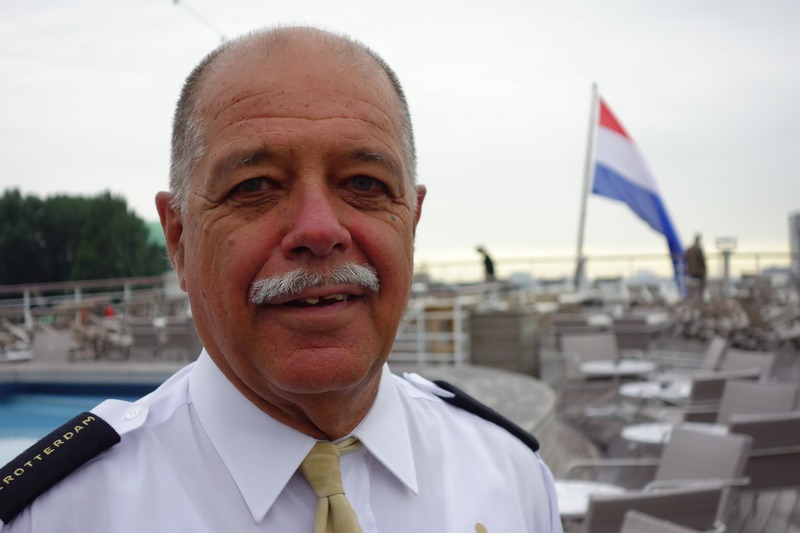 We were told on beforehand that the ss Rotterdam hires people that normally have difficulties in finding a job: a very noble cause that I very much support. But if you are not informed about this, I don’t know if you accept the service you get as it is not what you would expect from a 4star hotel. I observed it for three days and to me it was just an overall lack of initiative. I have never seen so many people cleaning tables during breakfast because personnel was nowhere around. 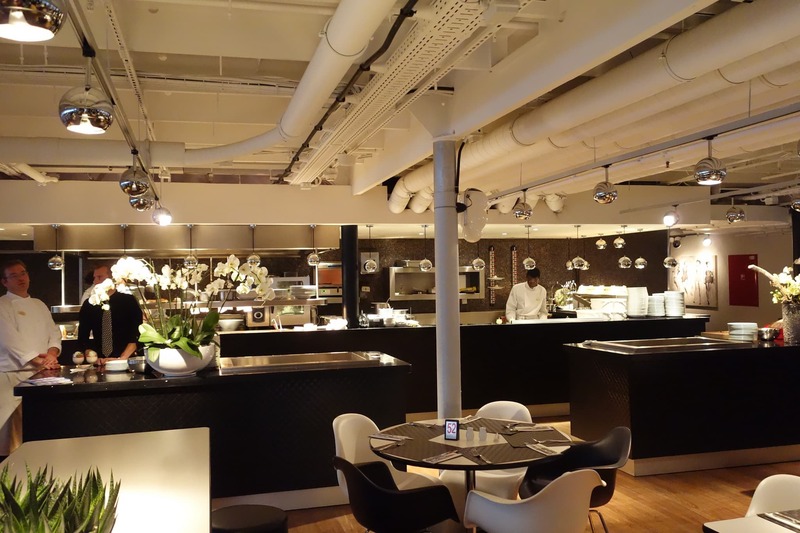 At the end of our stay we did have our doubts about personnel performance in the restaurant and at the reception. Just be prepared. Anyway, the ship has recently been bought by WestCord hotels and it is expected that things will change in the near future. When we toured the ship I was wondering how it must have felt in the past to reach New York after spending 8 days with only water around you…. certainly a kind of relief and also excitement because the view must have been spectacular. The picture below is an historical one of such an arrival in NYC. We managed to get a different and even more impressive view of the ship from the water. In Rotterdam you can book all kinds of port tours where most of them will pass the ss Rotterdam. We went on a thrilling RIB Experience and got very close….what a view!! From Rotterdam Central Station you can take a taxi. 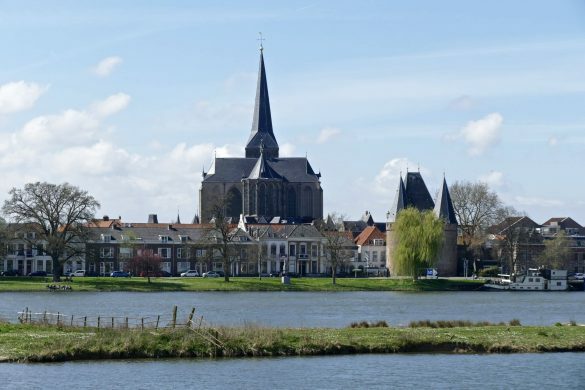 Another option is to take the subway south until Rijnhaven station. There you can take bus no. 77 which stops in front of the ship. 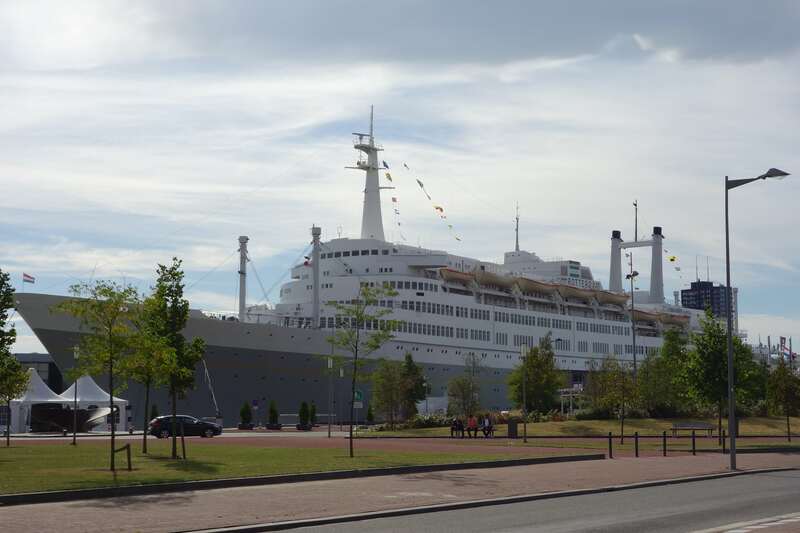 ss Rotterdam also have a private shuttle bus, ask for the special telephone number when you book your stay. If you want to arrive in style, order a watertaxi! The hotel is by far the most spectacular hotel in Rotterdam. Although some might think rooms are a bit small (but hey, these are the authenic cabins!) and I believe service could improve, I would love to stay here another time when visiting Rotterdam. That time I am going on a tour to the engine rooms! Check here for prices and availability. 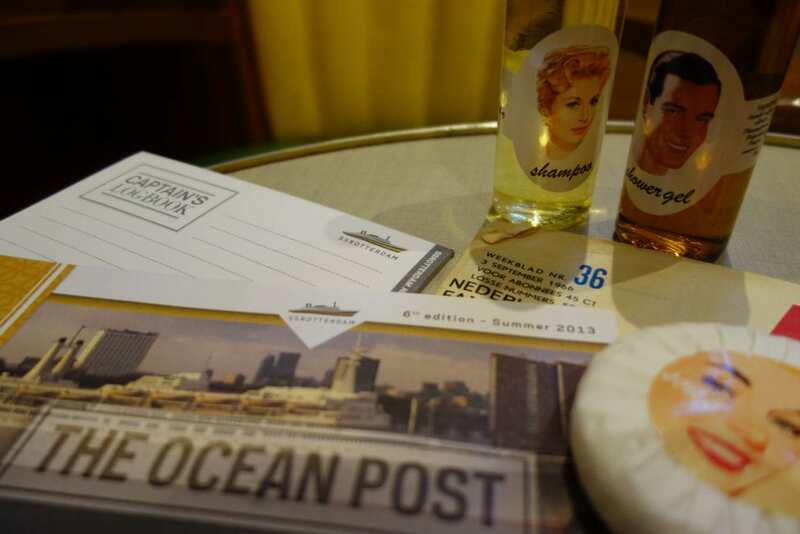 We were invited by Rotterdam Marketing to visit the World Port Days 2013. 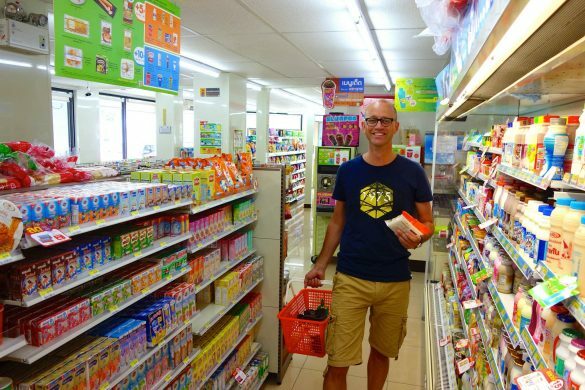 If you intend to visit Rotterdam, you should consider buying the Rotterdam Welcome Card (RWC). 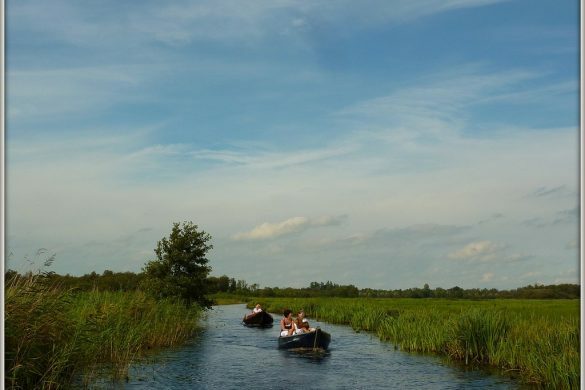 It offers discounts of 25% and more at 50 attractions, museums, restaurants and places of entertainment in Rotterdam and 1, 2 or 3 days of unlimited travel with RET metro, tram and bus. You can order the RWC already ahead of your visit. 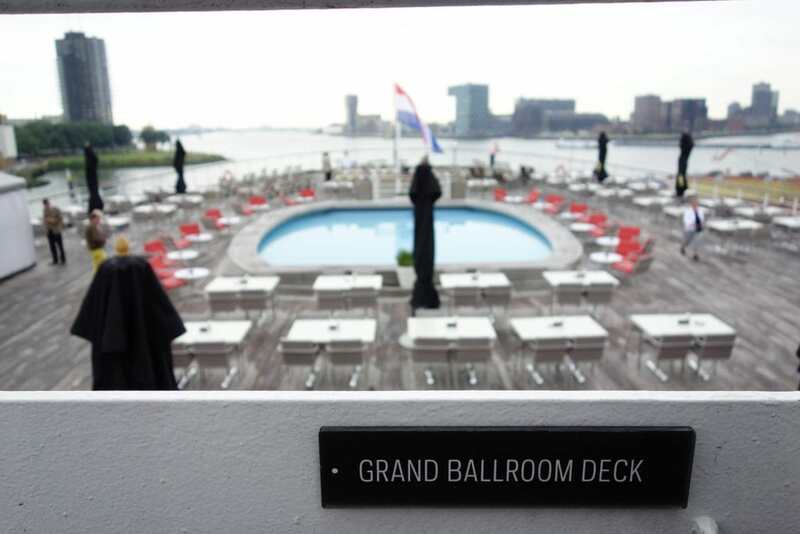 When I look at the SS Rotterdam, I imagined this to have been the best outcome for the SS United States. The renovation of the SS Rotterdam is certainly a test case example of how a ship should be renovated. It’s too bad that the SS Norway, SS Maxim Gorkiy, Regal Empress, MS Augustus, and the SS Oceanic never had the opportunity to follow in the SS Rotterdam’s footsteps. I now realize that if no one had stepped forward to renovate the SS Rotterdam, it would have ended up at the scrapyard at Alang, India. The ship is very lucky to have escaped the scrapyard. 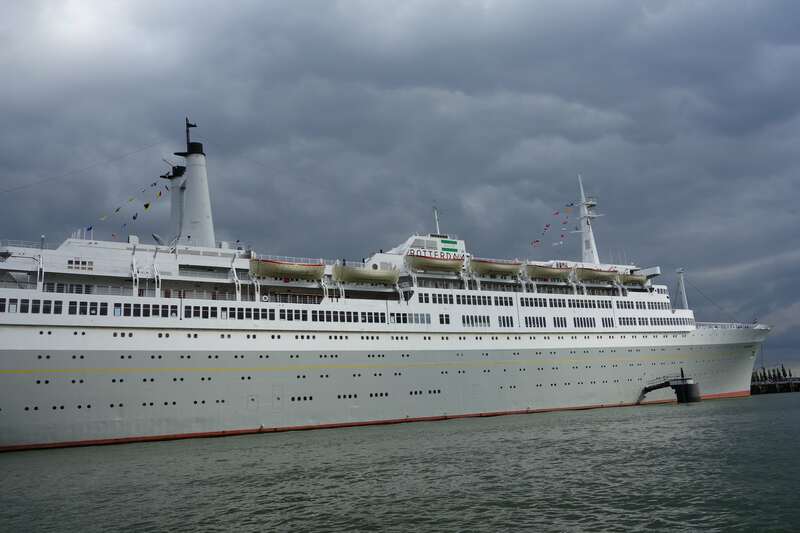 I only wished that the MS Augustus(Forerunner of the Andrea Doria) had followed in the SS Rotterdam’s footsteps and become a hotel vessel as well. However, the SS Norway was a ship that I wanted to see get saved as well. 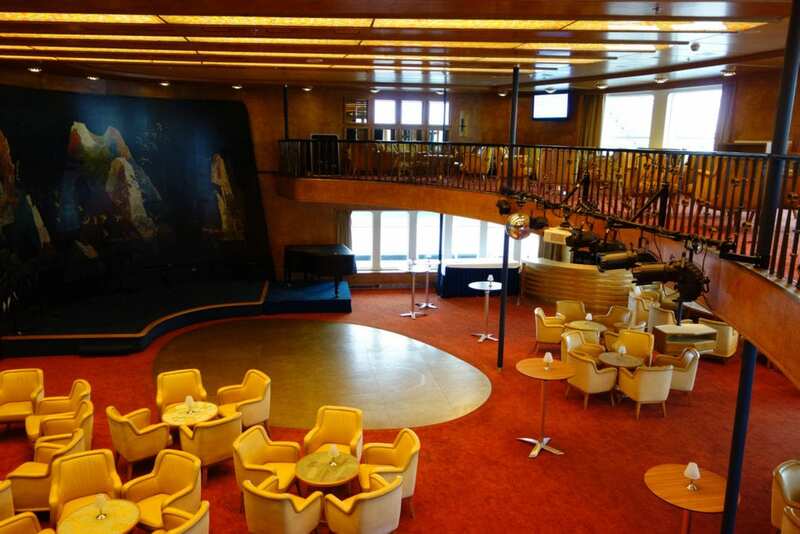 But given the cost factors of the Rotterdam, I see that such a renovation scheme could not be possible for the SS Norway due to the 1200 tons of asbestos onboard the ship. Imagine how much it would have cost to remove all of that? 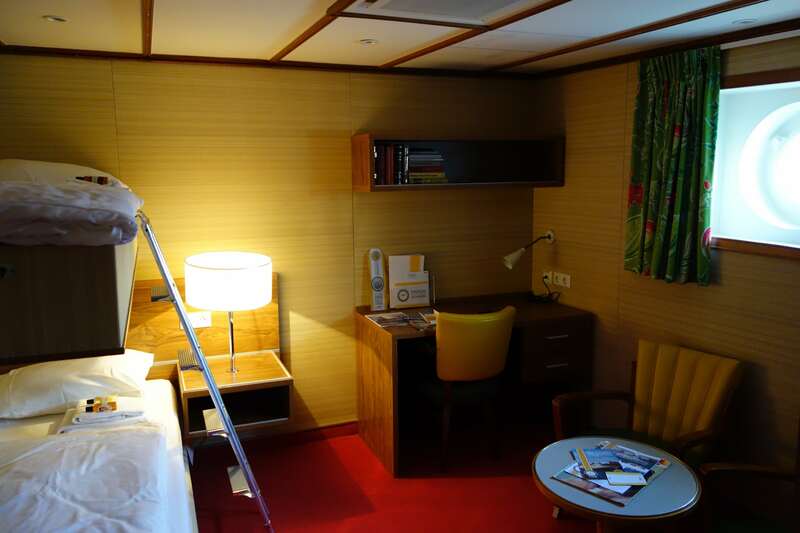 Otherwise,I believe that the SS France as a hotel ship might have done very well. 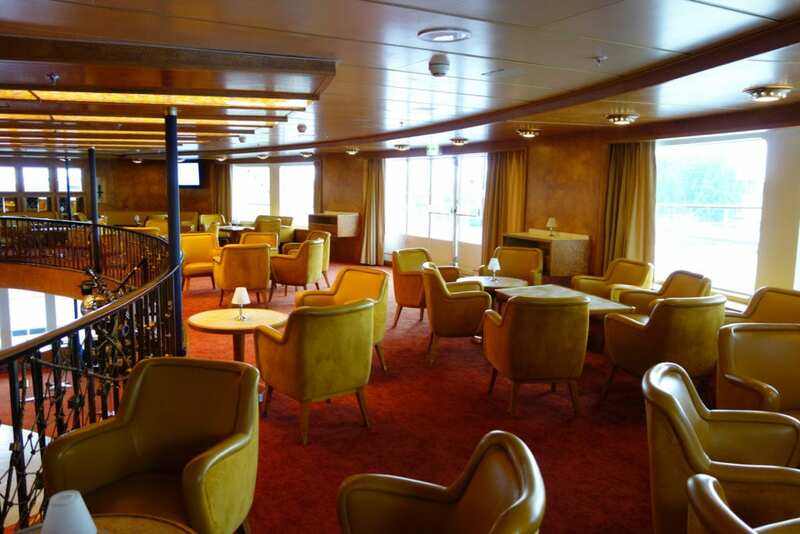 But I think that a developer would have to remove all of that awful additions that NCL had made to the ship since 1979, meaning that the interiors had to be stripped down and rebuilt to how it was during its heyday as the SS France. That might have cost a lot of money. But the result would have been spectacular to see. 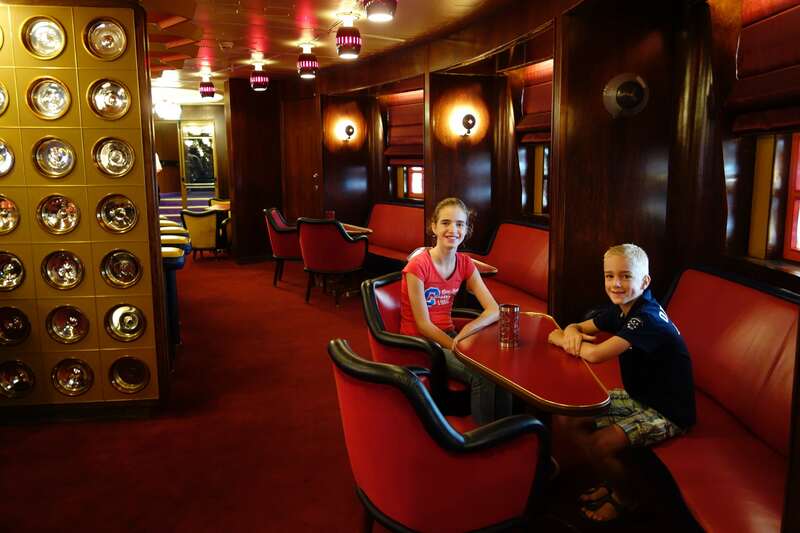 Our family cruised the Rotterdam (and my folks on many “without kids” travels) back in the 70’s and early 80’s. It was a wonderful, wonderful ship and I miss it dearly. I am so happy they turned it into a hotel, versus junking such a glorious beauty. Looking at the pictures, I can relive some of those memories. Some day, hopefully, I can make it over there to stay at it as a hotel. The cabins were always just right – my parents had five kids, so imagine all of us staying in just two cabins! They had so much to do, so you only slept there at night! Thanks for sharing your experience. Of course, with an Indonesian staff, the service when we traveled was spectacular. I don’t think they ever slept! Thank you so much for your comment @spectatornoone:disqus! 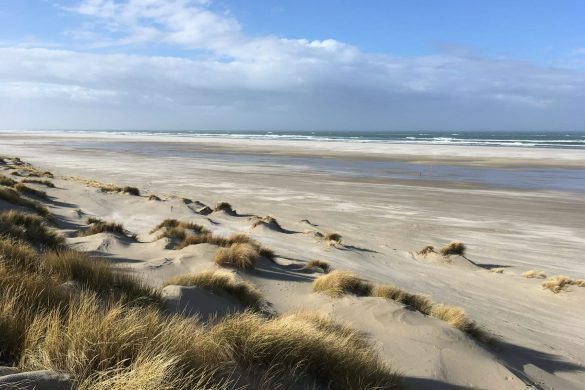 I can only imagine how fabulous such a trip must have been… I am so glad you found my review, are you currently living in the USA or over here in the Netherlands? I do hope you make it to the ship again someday! better start in there career is no excuse for experiencing a lack of service. comments to improve service constantly. Thanks Herman for your reply, this is very much appreciated! Feel free to contact me directly if you need any more details. 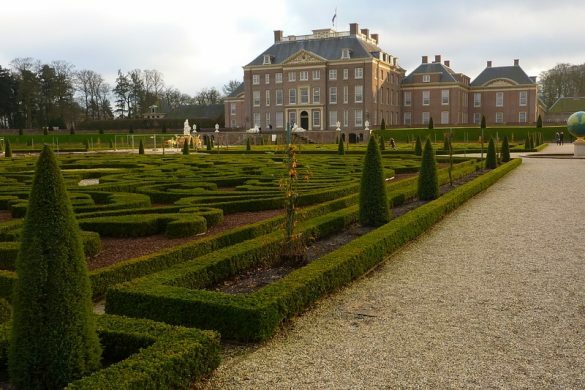 You are running one of the most impressive hotels in the Netherlands, that’s for sure! 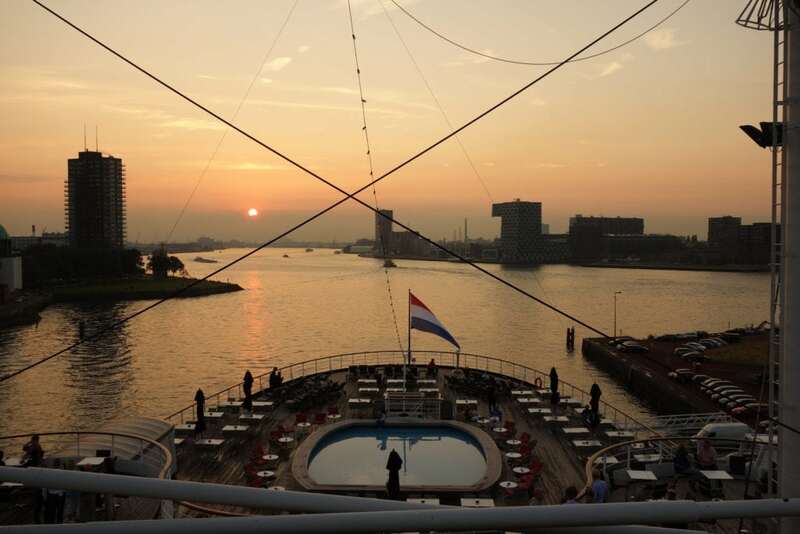 stay at the ss Rotterdam. The start of new memories and a lot of stories yet to be told! Yes service could be better. But since Westcord took over the ship they work hard to improve and results can be seen. However, it is always difficult after a bad period to show that it goes up. True Henk, thanks for your comment. Are you in any way involved with the ship? We would love to return next year to experience the improvements. But overall, the ship is a great experience! I am working with some others as voluntair and we bring back as much as we can find on historic on the ship. It is in all our interest that visitors are satisfied about the restaurant, hotel and service. Therefore a lot of attention is given to satisfaction. Sounds like fun. Love the pictures! Thanks Anneke. 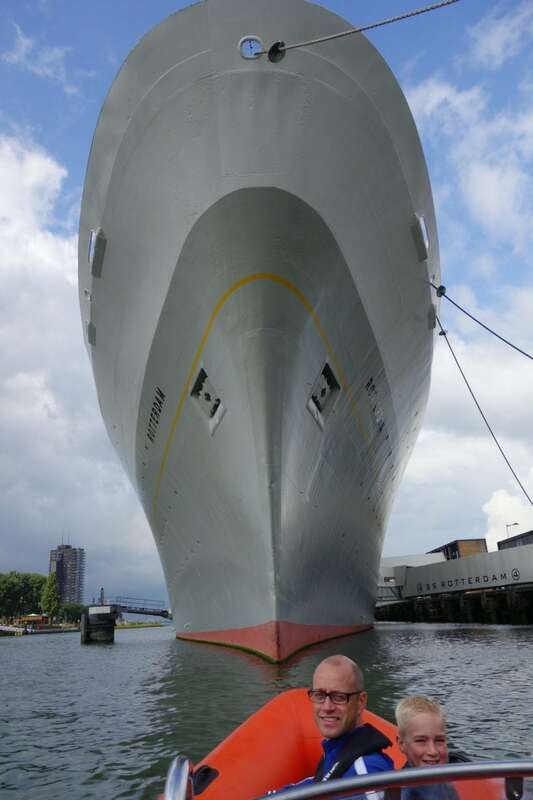 I love the pictures we took from the water….the ship was so huge!! 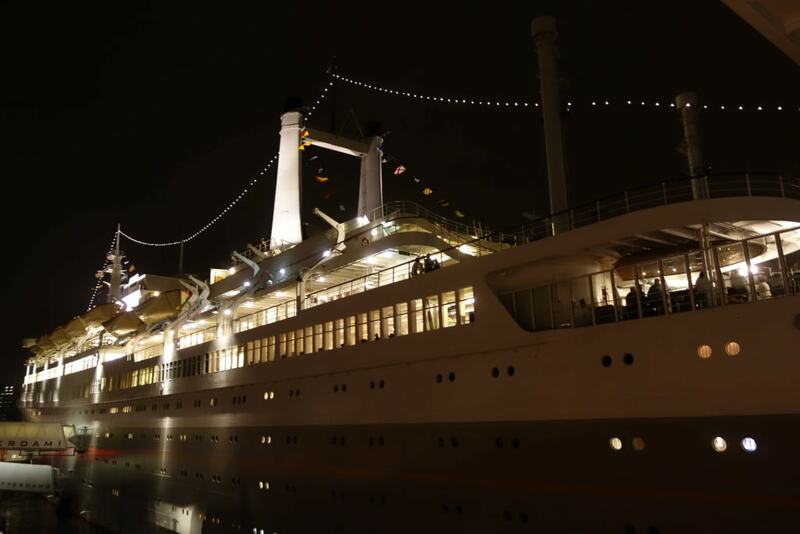 The ss Rotterdam was so much fun! We had a great time on our ‘date night’ this summer. Truly a step into the glamor days of old.